Please don’t pick the flowers. Oops! I meant to say FLAGS…. You may have seen green/blue and red irrigation flags in one area of Guadalupe Oak Grove Park between two of the main walking trails. These flags represent a project being done in cooperation with District 10. They mark a 30 foot-wide swath from trail to trail, and all the one-year old, baby Valley and Blue Oak shoots that are growing within. These shoots are to be ‘caged’ in chicken wire cages to protect them, watered and encouraged to live as they are to be the replacement trees for the Blue and Valley Oak trees we are losing to the extended drought and other issues. The flags are there because after the deciduous native oak trees drop their leaves they will be ‘invisible’ but for the subsequent caging. Blue and Valley Oaks will not regenerate due to the high-weed and grass load in the park and the out-competing Coast Live Oaks which are overtaking the open Savannah. Replacement trees will be planted before the end of the year to replace all those removed from Almaden Expressway as part of the PG&E Gas Line Safety Program. 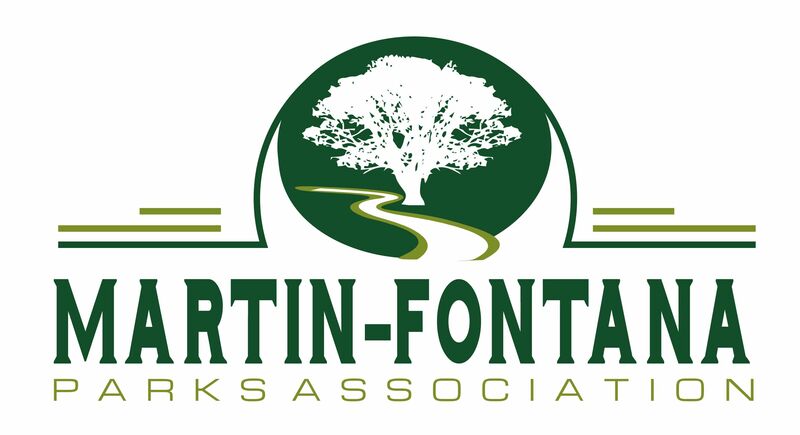 Your Martin-Fontana Parks Association has negotiated for allocating 55 trees to the two parks and a few to replace dead street trees on adjacent streets. All new trees will be selected and planted by Our City Forest, a non-profit dedicated to planting trees through out the City. If you have room for a new tree, please send an email to SaveOurParkTrees@gmail.com to be considered. We have a limited number of trees for this program so please respond soon and get put on the list. Since the number of trees is limited there is no guarantee that every request will be fulfilled. 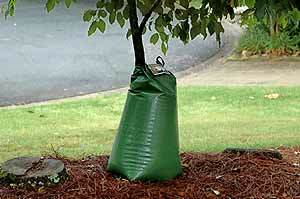 We will submit a list to OCF soon – Do you want a free tree? Martin-Fontana Park Association Board Members Linda Wilson, Rod Carpenter and Rich Zahner met with Don Hall and two other PG&E representatives recently to discuss two issues. The MFPA agenda was our request that PG&E fund the proposed Sustainable Parks Initiative (SPI). 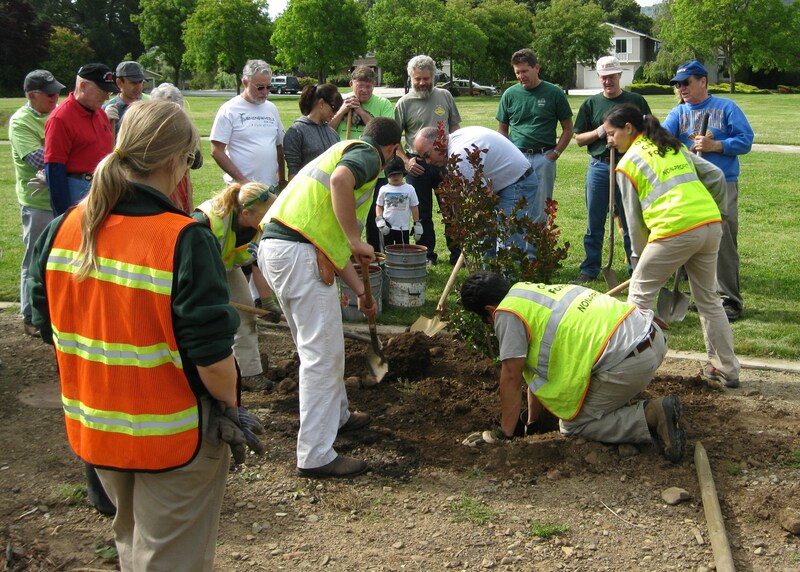 We requested $20,000 from PG&E in 2017 to be matched by MFPA to plant trees and bushes, complement the PRNS Staff, and improve the appearance and utility of the Parks. The PG&E agenda was to explain the Gas Transmission Pipeline safety program being conducted by PG&E. See the PG&E memo below for details. In summary they will remove about 150 trees along Almaden Expressway located over the gas pipeline that supplies all of the valley. The trees are on both City and County property (no private property as far we know) between McAbee Road and Rajkovich Way. PG&E is committed to replacing the trees. 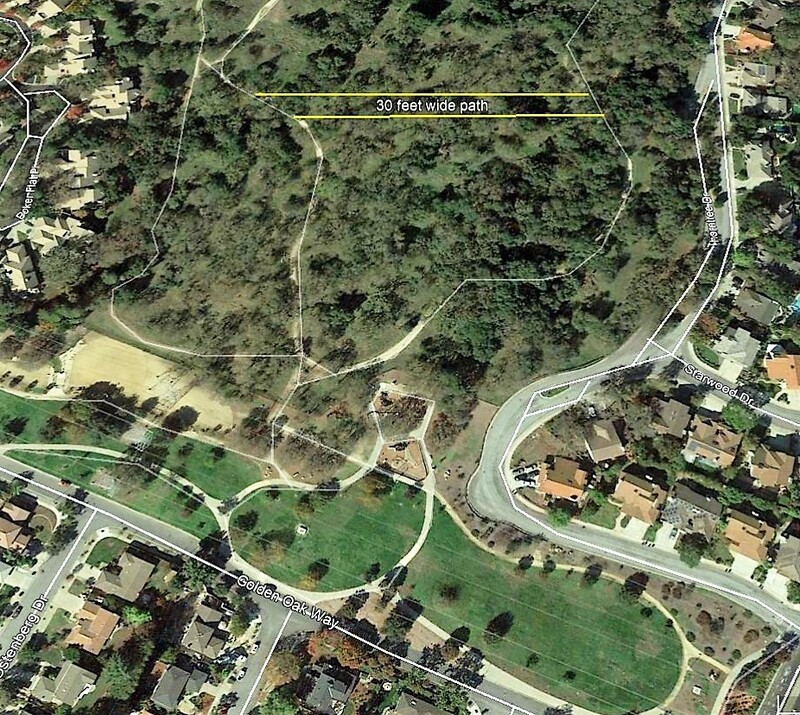 The question is where and they suggested planting a number of trees in both TJ Martin Park and Jeffrey Fontana Park. We did not object to the idea and talked generally about numbers, types and location. PG&E held an Information Table at the Fontana Dog Park entrance on Saturday the 11th of February from 8AM to 11AM. The work to remove trees is likely to begin in late spring. We might get them to spread the wood chips as mulch for the Parks bare spaces. Pacific Gas and Electric Company (PG&E) is working with the City of San Jose and Santa Clara County to help ensure safety crews have immediate access to natural gas transmission pipelines in case of an emergency or for important maintenance work. This gas safety work involves removing and replacing trees and structures that are located too close to the gas pipeline and could delay access for first responders or damage the pipeline. Work is expected to begin this spring on Almaden Expressway between McAbee Road and Rajkovich Way. Please note there is no work taking place at TJ Martin Park or Jeffrey Fontana Park. 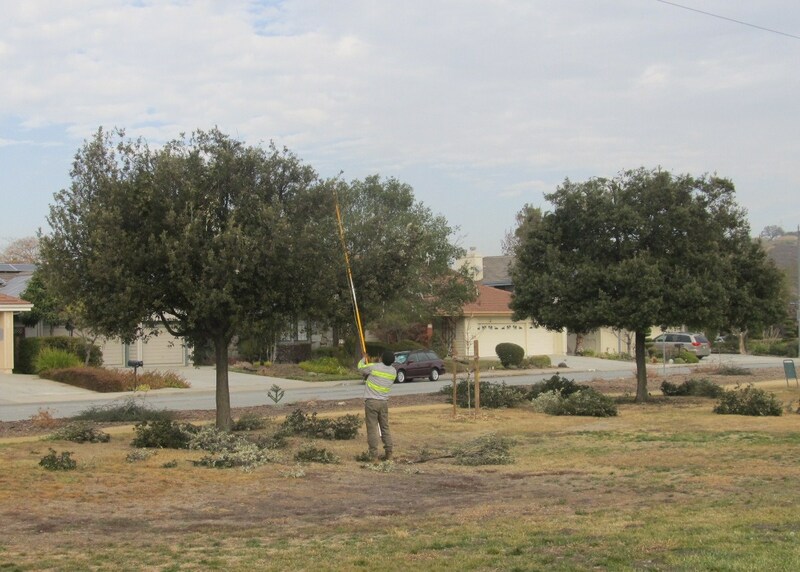 PG&E understands how important trees are to the local community, and will work closely with residents in close proximity to the work to offer replacement trees to be planted at a safe distance from the pipeline. For more information about the planned safety work, please contact PG&E customer outreach specialist Emily Sloan at 1-650-737-2001 or emily.sloan@pge.com. You can also learn more about all of PG&E’s ongoing gas safety efforts at pge.com/GasSafety. Is the drought killing trees? MENLO PARK — The city claims the heritage oak as its symbol, but the actual trees that line its streets might not feel particularly adored. The leader of the city’s Fire Department says some trees along his route are in such sad shape that he recently brought up the idea of forming a task force to make sure they’re getting enough water during the drought, now in its fourth year. He even broached the idea of sending firefighters out in a truck to water threatened trees along the rights of way if the cities in its coverage area were unwilling to set up a system to monitor the trees’ health. 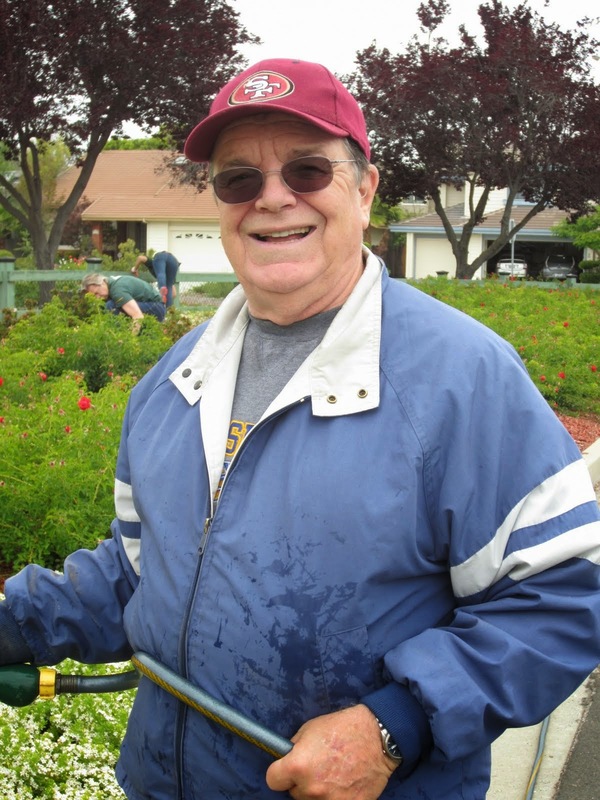 Martin-Fontana Parks Association receives another award. Linda Wilson, in the center, receiving our award. Our City Forest celebrated Twenty Years of Volunteers by honoring two decades of volunteer spirit & dedication by passing out these beautiful framed awards. Attending the event were MFPA President Linda Wilson, Secretary Pat Wagstaff and her husband, Sunny. Also in attendance was San Jose Councilmember Johnny Khamis. The ceremony was held on August the 2nd. at the Camden Community Center.